About: Designing and building timber frame homes and barns since 1967. About: Triad Associates is the largest installer of hardscapes in New England and can assist with your pool deck, driveway, patio, wall, and pool plastering. About: Harber Construction builds custom homes, additions, and garages. We strive to be “relevant” as it pertains to design, product, and functionality. About: Constructing asphalt and soft surface tennis courts in New England since 1972. 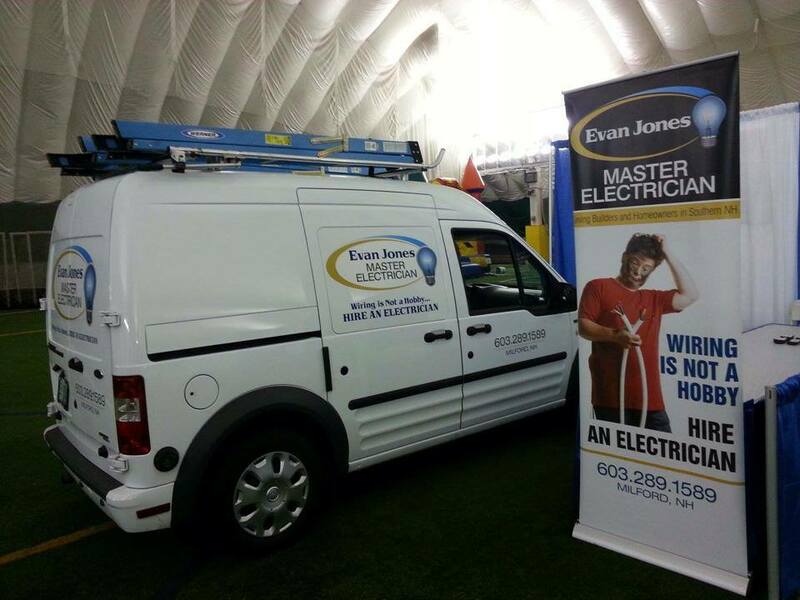 About: Serving local builders, businesses, and homeowners, Evan has been in business since 2005, servicing the Souhegan Valley and beyond. Evan’s passion for customer service and desire to please sets him apart. About: A family owned and operated business with over 35 years experience from coast to coast. Drywall, painting, tile, suspended ceilings, as well as demolition, mildew abatement, mold control, fire damage and encapsulation are their specialties. Dean Smith’s attention to detail and unparalleled approach to quality is why Spatial chooses Smith Interiors for all our home construction and theatre drywall projects. Smith Interiors can be reached at (603)369-1702. About: With Complete AV, nothing is standard or out of the box. Everything is designed around your needs. We partner with the best in the business, working with quality components from McIntosh Labs, Integra, Control4, Triad Speakers and QMotion Shades. About: In business since 1999, Kenyon Comp is an accomplished finish carpenter focused on the Southern NH region. Ken brings passion, skill and outstanding ideas for custom built-ins, remodels or complete ground-up projects including laundry, bath, kitchen, theater, garage and basements. Fully insured for residential work, Ken is a wonderful asset to my team of subcontractors and can be reached at (603)365-6833. About: Stone Blossom Landscape & Design can make your dream landscape a reality. Whether it be skillfully grading for drainage, creating a graceful flow to a bluestone walkway or delicately planting the perfect perennial, we pay attention to every detail. Our experience designing unique landscape plans, elaborate hardscape installations and intricate gardens allows us to produce exceptional outdoor spaces. About: TCB Agency helps companies define their online presence and provides big agency thinking at small agency prices. TCB Agency has developed websites and complete marketing plans for companies of all sizes throughout the country. About: Chappell Tractor is a 4th generation, family run business that has ​been selling hand-selected and diversified product lines since 1955. About: A New Hampshire based “turnkey” nursery who grows over one hundred varieties of fruit producing trees, bushes and vines. They consult, teach, design, install, maintain and service all sizes of home orchards and home vineyards. King Street Vineyards also grows and installs plants that are 100% compatible with New Hampshire’s unique climate and soil. Spatial works closely with King Street Vineyards, and their clients, to ensure the orchard and vineyard investments are presented in the appropriate hardscape. Detailing the access, beauty and longevity are essential with this unique offering. David Quigley, President of King Street Vineyards can be reached directly at (603)672-7000. About: With an unsurpassed commitment to the well-being of your family and your home, we use the latest tools and technology available to evaluate your home’s condition and provide you with the most professional and comprehensive inspection available. I guarantee you will receive our very best efforts to provide the highest-quality inspection of your investment. About: Providing Precast and Red-iMix Concrete products to the greater New England area since 1974. About: For 68 years, the Torrisi family has been providing the best quality service, innovation and advanced resources available in the building industry. About: New Hampshire’s premier asphalt paving company for more than 55 years. About: Mt. William provides quality construction, landscaping and aggregate materials. About: Choose Dulac Concrete Foundations for unmatched concrete work that elevates the look and feel of your home or business. We are concrete contractors located in Auburn, New Hampshire, provide quality work that improves your property’s curb appeal and value. About: Improve the look of your property’s interior and exterior with service from Harvey’s Concrete Floors of Bedford, New Hampshire. From garage floors to warehouse floors, we install the structures you need for functionality. About: Boisvert Brothers Tree Service was established in 1995 by Mike and Ken Boisvert. Mike and Ken have been working the tree care industry for over 30 years and are 2nd generation climbers. No job is too small, too big, or too difficult. We offer tree removal, Tree Trimming, Stump Grinding, and Crane Service. Mike and Ken personally work on every job to guarantee the quality service Boisvert Brothers Tree Service is known for.